Aids in raising awareness of the potential dangers in office environments. 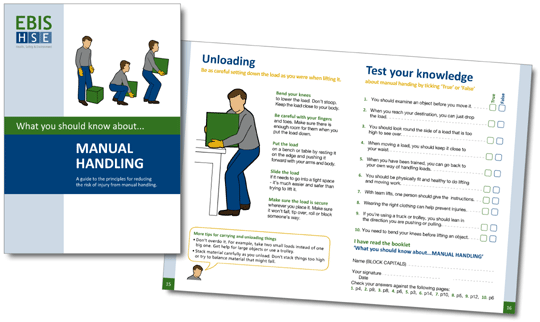 Includes advice on lifting and moving objects, using display screen equipment, avoiding slips trips and falls and fire prevention. Ideal to give employees on induction or as an awareness raising guide at any time. Yes. We can add your organisations logo to the front cover and additional information on the back cover to be consistent with your corporate branding, subject to a minimum order quantity.Â Please contact us here is you have any questions.